NOTE: Feel free to pass this newsletter on to others to help them be informed and learn something from the teachings also. Should they want to receive this newsletter, have them go to www.torah-truths.com and fill-in the form and click on the Submit button. BOMBSHELL: HILLARY MAY HAVE HELPED RUSSIA HACK U.S. GUESS WHO LET THEIR BIAS SHOW? Billionaires-for-Hillary Club Grows… Why Are All The Billionaires Supporting Hillary? US Election Shocker: Is This How The Vote Will Be Rigged? Elites’ Globalization In Danger, What’s Next? New Gun Freedom Law Now in Effect in Texas… and the Liberals are Ticked! Powerful earthquake hits near Tambora Volcano, Indonesia – Sign of another imminent super eruption? Over 100 pastors in Vietnam are behind bars as authorities attempt to control the growth of Christianity in the region. This unjust prison time is even more concerning due to the horrific and life-threatening prison conditions in Vietnam. According to sources, prisoners who do not follow strict protocol have been poisoned without a trial. Christians only account for about 10% of Vietnam’s population, and they have long faced an uphill battle in terms of religious freedom. But problems for Christians escalated over the last few weeks as 60 new pastors were abruptly sent to jail. The newly arrested pastors join more than 40 pastors who are already behind bars. Many of the pastors have been in jail since 2001. Vietnam’s Constitution and legal code claim to protect freedom of belief and religion, but there are many restrictions on the growth of religious minorities. Churches are forced to register to hold meetings, and unjust impediments to registration exist in many regions. Religious groups that are seen as a threat to the communist government are often shut down. Macy’s, don’t fire employees for being Catholic! A Catholic employee at Macy’s was fired from his job for his mere religious beliefs about gender! We cannot sit by and let companies discriminate against Christians for their beliefs—let alone actions based on those beliefs. Help us tell Macy’s that this is unacceptable. Javier Chavez had worked at Macy’s for 26 years and was a senior store detective with Macy’s Flushing, New York. After responding to a complaint by two customers—a mother and her daughter—about a man using the women’s restroom in the store, Chavez’s superiors told him about Macy’s new policy. Men who identify as women can use thesame bathroom as young girls—no questions asked. Chavez told his superiors that his Catholic faith and the Bible made him believe that this policy was wrong. Still, he said, he would enforce the policy while working. And then, based only on his stated opinions and beliefs, Chavez was fired! “After my employer learned that I was a practicing Catholic, with religious concerns about this policy, I was terminated because of my religion, in violation of the New York State Human Rights Law,” Chavez states in a complaint to the New York Division of Human Rights. Catholic League President Bill Donohue rightfully stated, “Macy’s has no legal, or moral, grounds to stand on.” The most basic religious right in the First Amendment is the right to believe. If Macy’s can fire employees for “merely holding beliefs that are contrary to the store’s policy,” then religious believers everywhere have to hide their faith. The radical transgender ideology is not satisfied with religious dissenters enforcing their biology-denying policy. They also have tosilence anyone who merely voices disagreement, even for religious reasons. Tell Macy’s that this policy of firing religious employees will not stand! America was founded on the basic principle that no one should be discriminated against because of his or her religion. Sleeping Too Much: How Much Sleep Do You Really Need? Can a Hot Bath Cut Blood Sugar and Burn Calories? Risk Factors to Watch Out for: What Causes Fibromyalgia? Zinc Oxide Benefits for Protecting Your Skin from the Sun + More! Orange Oil — Enhance Your Immunity, Skin & Kitchen! Sweet Potato Fries With Spicy Yogurt Dip: For Stomach Ulcers? The Bristol Poop Chart: Which of the 7 Types of Bowel Movements Are You? IS MAINSTREAM MEDIA COOKING UP A FRESH NEW ZIKA VIRUS PSYOP SCARE FOR THIS FALL? Are You Charging Batteries The Wrong Way? Are We on the Verge of Immortality? ISRAEL’S SANHEDRIN TAKES ON U.N.
Is Pope Francis Promoting A One World Religion And New World Order? Pope Francis: A Fool or Liar for Islam? FALSE TEACHING IN CALVARY CHAPEL? This Year’s Top Five Natural Biblical Phenomena – Number Two Will Scare You! Huge increase in girls victimized by genital mutilation in U.S. Proof Vatican To Build Israel’s Third Temple! Broadcast on Hebrew Nation Online airs LIVE at 9 am and 5 pm Pacific on Fridays or listen to the podcast later. Listen on the go! Do you have a Smart phone with internet? Do you have an iPad? Go to the apps store on your device, download “TuneIn”, then search for HebrewNation radio. You can listen live anytime! The 1260 Report airs live on Fridays at 9 am and 5 pm Pacific time or listen later by podcast. Ephesians 4:1 contains an interesting principle hidden within the Greek word translated as “worthy.” The word includes a dimension that relates to health issues and is something we should strive for in our relationship with God. Martyn Lloyd-Jones, in his commentary on Ephesians, tells us the word has two basic ideas, and both are important to this subject. The first is that of “equal weight.” Imagine a scale with objects of equal weight on opposite sides so that it does not tilt. The scale balances perfectly; it is “worthy.” If it tilts, it is “not worthy.” In context and in practical application in life, Paul is saying that doctrine must perfectly balance with practice for us truly to walk worthily of our calling. However packed one’s head may be with truth, if it is not being used, he is unbalanced—he is not walking worthily. It is equally true that, if one says that Christianity is no more than living a good life and that learning other truths is not important, and thus he fails to search and expand his understanding of truth, he is also walking unworthily. But, beloved, we are confident of better things concerning you, yes, things that accompany salvation, though we speak in this manner. For God is not unjust to forget your work and labor of love which you have shown toward His name, in that you have ministered to the saints, and do minister. And we desire that each one of you show the same diligence to the full assurance of hope until the end. These people were in trouble because they were failing to maintain the balance. In this case, they had apparently been diligent at the academic level, but their practical application of truth had declined drastically. They had become unbalanced and poor witnesses of God and were falling away. The second idea in the Greek word rendered “worthy” is the sense of “becoming.” The translators could have translated Ephesians 4:1 as, “I . . . beseech you to walk in a manner becoming the calling with which you are called.” The same word appears in the first phrase of Philippians 1:27: “Only let your conduct be worthy of the gospel of Christ. 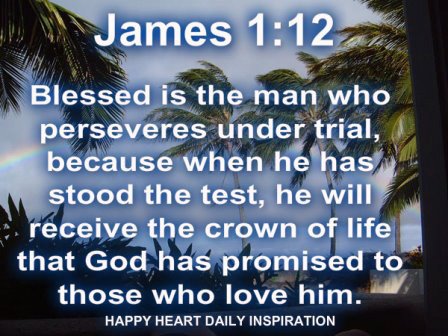 . . .” The King James translates “worthy” as “as it becomes.” The basic idea is of matching. It is similar to a person adorning himself with clothing or accessories that are suited to him or match. Thus, Paul is saying that our doctrine and our practice must never clash, just as the colors or patterns in our dress should not clash. Much of modern music and art perverts this principle. The very heart of true beauty is the central idea of balance, harmony, and congruity. Things of beauty match; a cacophonous clash of discordant color or symbols jar the senses. Titus 2:9-10 helps to demonstrate this principle: “Exhort servants to be obedient to their own masters, to be well pleasing in all things, not answering back, not pilfering, but showing all good fidelity, that they may adorn the doctrine of God our Savior in all things.” Paul’s metaphor is that doctrine is the basic garment of God’s way of life, and the way we live it is the adornment that complements it. Life has to match, be balanced and congruous with, the doctrine, making it attractive and causing people to admire it and gravitate toward it. Herbert Armstrong, commenting on demon influence, said that demons reveal themselves by influencing people toward extremes of human behavior. He did not mean that the people were necessarily possessed but certainly influenced toward that manner of conduct. This influence has affected all of us to some degree. Has this world influenced us to do certain things? If so, we have been influenced by demons. This is not God’s world; Satan and his horde of minions created the system and govern it. They are the principalities and powers we wrestle against (Ephesians 6:12). Their influence permeates the entire system from top to bottom. Thus John warns, “Do not love the world or the things in the world. . . . the lust of the flesh, the lust of the eyes, and the pride of life—[are] not of the Father” (I John 2:15-16). This is why we must be so careful about who and what we are following. Think of anything extreme, things that are foolish and unbalanced, unbecoming to God or man—and demons are behind it. They influence people to excesses of anger, violence, depression, paranoia, schizophrenia, asceticism, hermitism, alcoholism, drug addiction, voyeurism, fetishes, cannibalism, anorexia, bulimia, and any other form of behavior that is destructive of the self and divisive of relationships. There might be scores of such arguments, and every one of them is nothing more than pressure to accept this world’s lies. Each of them essentially and completely leaves out of the picture God’s leadership and influence to help our efforts succeed, which is the whole reason for the demons’ efforts. Undeniably, God’s Word provides the balance we need to walk worthily in this physical area of life, as well as in the spiritual. We, after all this time, have now arrived at the number that is second to none in popularity. The number six hundred sixty-six is well known in our culture, regardless of whether one holds deep religious views or not. We might begin with a comment that perhaps is obvious to some and not so obvious to others. This number is not ‘666’ but rather six hundred and sixty-six. In the Greek text of Hitgalut [Revelation] 13:18, the number 666 is represented with a value based upon gematria. It is simply written with three Greek letters, the Chi = 600, the XI = 60, and the no longer used Stigma = 6. This is important because there has been much clamour over possible antichrist candidates based upon something or someone containing three ‘sixes’ rather than the number 666. I remember hearing about the three ‘w’s of the world wide web as pointing to the true beast of Hitgalut [Revelation] 13. This is based upon the 6th Hebrew letter of vav being articulated as a ‘w’ by many. Or Ronald Wilson Reagan’s name containing three sixes. But we must keep in mind that this is not what the scriptures are saying. We are told in verse 18 that “him who hath understanding, let him ‘count’ the number of the beast”. The Greek word used here implies more than simply counting up numerical values. The word psephizo means to ‘calculate’ or to ‘formulate’. It is used in Luke 14:28 to speak of ‘counting’ the cost of building a tower. The word means very much the same in Hebrew. The word is tzor,and means to ‘compress from all directions’, to ‘form’, or to ‘shape’. Obviously, this number is made up of a lot of sixes. We have already seen that the number six is the number of man, and so it is no coincidence that this number is also called the ‘number of a man’. This is a very important insight, for it is my opinion that the very nature of the ‘antichrist’ is that he has successfully convinced religious men to substitute the ways of God with the ways of man. Combine this with the revelation that this number is also the ‘name’ of the beast and you have some important information about him. In the Hebrew, the word ‘name’ or shem, speaks of authority, which also brings us to the same conclusion about the nature of the mashiach tachat, or the ‘instead of’ christ. What will happen someday soon is the physical manifestation of an antichrist spirit that has been with mankind from the beginning. Yochanan mentions this spirit in his 1st epistle. When Yochanan [John] wrote his epistle, the ‘spirit’ of this beast was already in the world. What he has been doing up to now ‘in the spirit’, will soon manifest itself as a person. Those who will follow this beast in the last of the latter days will be those who have already been ‘conditioned’ spiritually to set aside the commandments of the God of Israel and replace them with man’s. This is due to further insight given to us in other places in scripture where we are told that this same anti-messiah will be the ‘wicked one’ who is the ‘mystery of iniquity’ or the ‘lawless one’ (read this ‘torahless one’ ) (2 Thessalonians 2:7-8). The number ‘six’ is stamped all over this wicked one. The number ‘six’ is prolific in the Chaldean and Egyptian mysteries. This number used to be the 6th letter of the Greek alphabet. It was called the stigma and was represented by, for all intents and purposes, a small ‘s’. This letter represented the Egyptian goddess Isis. Isis was one of the three names of the Egyptian ‘trinity’ that shows up on the communion wafer used in many churches in the last eighteen centuries, i.e. IHS or Isis, Horus and Seb. The idea I discussed earlier concerning this antichrist being the ‘instead of’ Messiah can also be seen in the numerical value of the true Messiah as opposed to the false messiah. The first letter of the three Greek letters used to construct the number of the beast is taken from the first letter of ‘christ’ in Greek. The last letter is taken from the last letter of the word ‘christ’ in Greek as well. The letter that lies on the inside is what makes the difference. Utilizing the exact same gematria is seen in several instances in scripture. The Hebrew gematria for Messiah and serpent is 358. The gematria for ‘the Anointed one’ and ‘satan’ is 364. The gematria for ‘the Son’ and ‘Lucifer’ is 75. The gematria of the ‘head of the corner’ is 666. This beast is very sly and will present himself as the true Messiah in any way that he can, except one. This wicked one will not follow God and will not obey His commandments. His purpose is to ‘build’ an ‘instead of’ Christ and to create a universally accepted savior. This man will be responsible for replacing the traditions of God with his own traditions. In the Greek, his own ‘traditions’ is paradosis = 666. Many times he will use wealth as the greatest motivator (wealth = euporia = 666). Many believe that this antimessiah will come from the Roman empire. Could it be just a coincidence that the numerical system used by the Romans adds up to 666? D=500, C=100, L=50, X=10, V=5, and the I=1. In my humble opinion, the number of this man and beast will be relatively simple to calculate once he is out of obscurity. Remember, he will epitomize and take ‘upon the flesh’ of that spirit of lawless (Torahless) doctrine that pervades religious organizations. He will deceive all those who unknowingly follow him. He will have no regard for the laws and commandments of the God of Israel, but will use His name and claim that Jesus is the Christ. This verse is commonly taught to be synonymous with other statements relating to false Christs and prophets. But the structure of this verse speaks no such thing. The context is clear. Yeshua‘ is speaking, and states the base nature of these people. They will speak in His ‘authority’ and they will proclaim that Yeshua‘ is the Christ, but they are deceivers. Take heed. 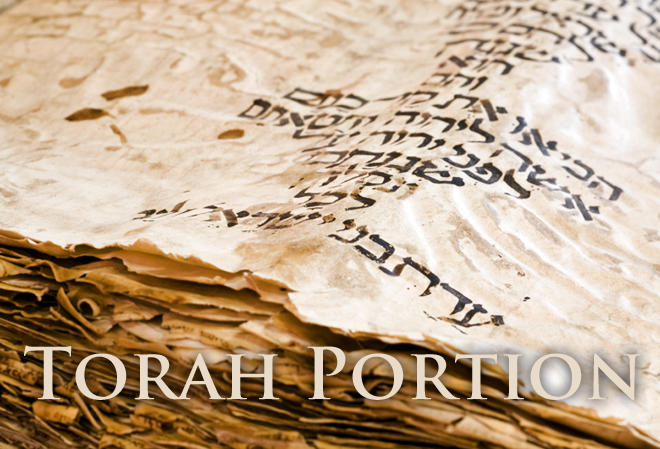 Torah Portion Massel (Journeys) for adults for August 6, 2016. This is a downloadable PDF file. Torah Explorers Massel for children for August 6, 2016. This is a downloadable PDF file.